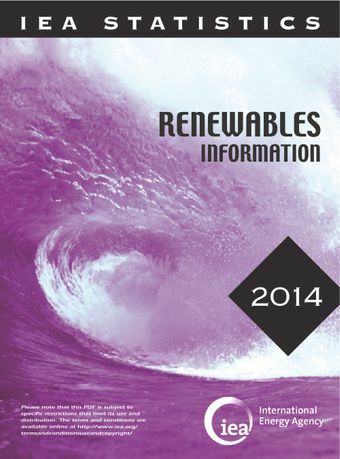 Renewables Information provides a comprehensive review of historical and current market trends in OECD countries, including 2013 preliminary data. An Introduction, notes, definitions and auxiliary information are provided in Part I. Part II of the publication provides an overview of the development of renewables and waste in the world over the 1990 to 2012 period. A greater focus is given to the OECD countries with a review of electricity generation and capacity from renewable and waste energy sources. Part III of the publication provides a corresponding statistical overview of developments in the world and OECD renewable and waste market. Part IV provides, in tabular form, a more detailed and comprehensive picture of developments for renewable and waste energy sources for the 34 OECD member countries, including 2013 preliminary data. It encompasses energy indicators, generating capacity, electricity and heat production from renewable and waste sources, as well as production and consumption of renewables and waste.